Along with the rest of the English-speaking world, let us now visit the British royal family while the Prince Harry/Meghan Markle wedding is tomorrow. Not only are there stories in the gossip magazines about who Harry's real father is--not Charles, but someone who has been close to Harry most of his life, and especially since Diana died. Former Welsh guard, Mark Dyer, took on many fatherly duties to Harry over the years. Photos of young Harry and Dyer show them together at sporting events; Harry was himself a groomsman in Dyer's wedding. Harry apparently introduced Meghan to Dyer soon after the engagement, and Dyer most definitely will be a guest at the wedding. As for the James Hewitt paternity story about Harry, that has been denied and debunked numerous times. Hewitt wasn't even around when Harry was conceived. We all know that Charles and Diana's marriage was rotten from the start. You never saw pictures of them being touchy-feely, the way Harry and Meghan are. 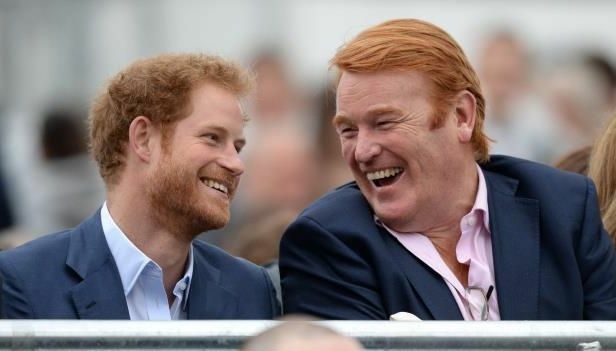 Personally, I think Dyer and Harry look enough alike to consider that they are connected genetically--beyond their shared red hair--as Harry really doesn't resemble Charles in any way we can see. But whatever the truth, the Crown sees Prince Charles as Harry's legitimate father and heir. I love that Meghan is divorced and biracial and American and an avowed feminist and has an adorable rescue dog named Guy. Enough of that. The story that has fascinated me as a first mother much more is that of Simon Charles Dorante-Day, an Australian man who was born in Portsmouth, England (in a hospital that did not normally do births), on April 5, 1966. He was adopted at 18 months by a couple whose parents were servants in one of their royal households. The couple moved to Australia, and mysteriously had plenty of money. He looks very much like a son of Charles and Camilla; one of his daughters resembles the Queen. Not only does he look like Charles, he also resembles a brother of Camilla--someone who would be his uncle. Simon Dorante-Day--does he look like Charles? Way more than Harry? In 1966, the year that Dorante-Day was born, Charles, 16, was pulled out of the school in attended in northern Scotland, Gordonstoun, and sent off to a kind of wilderness school in Australia, during which time he visited Papua, New Guinea. According to this part of the story, the headstrong and lively debutante, Camilla Shand, five months older than Charlies, disappeared for a while from view. After having watched The Crown on Netflix all of this seems perfectly fitting. The series emphasized the forces that protocol and prime ministers exerted on Queen Elizabeth to squelch her sister's marriage to a divorced Capt. Peter Townsend in the Fifties. A decade later the Queen, a bit stuffy herself, finds out her eldest son and successor to the throne is having a child and he's only 16! I can imagine the explosion in the palace walls. Shipping Charles to the other side of the world where he could not possibly see Camilla seems like what any royal family might have done. Rich American families were always sending their sons and/or daughters off to tours of Europe or god-knows-where to break up liaisons they did not approve of. In fact, my first husband's very WASPY father offered him a lengthy trip to Europe to forget me, but we secretly married instead. Anyhow, there are reports that Charles and Camilla met in the Sixties, but that is scrubbed from official biographies, which state that they met in 1970 or 71, introduced at a polo match or a party. The details vary, which is weird in its own way; one would think that if they truly had not met until XYZ, that would be nailed down. Like you either meet at a party or a polo match for the first time in 1970 or 1971, right? And let us remember the royals are covered like no other family. No mention of a Sixties fling between teenagers. Of course, no social media was around at the time which surely would have recorded them together. According to a credible biography by Sally Bedell Smith, Camilla's father pushed her marriage to long-time beau (seven years) while Charles was away in the Royal Navy. Since Camilla was rumored in upper-crust British circles not to be a virgin--apparently required of brides to successors to the throne, Mr. Shand pressured Andrew Parker-Bowles to finally marry his daughter, as it was assumed that she was spoiled goods, and the Crown wouldn't accept her as a match for Charles. Camilla's lack of virginity was gossip fodder at that time, and became part of the story of why she married Parker-Bowles. The royals have always commanded American headlines. I recall my own mother, who was divorced herself, being upset that Princess Margaret was not allowed to marry Capt. Townsend. It was a big story in one of the women's magazines that came into our house. The lengthy love affair between Prince Charles and Camilla that continued despite their marriages to other people has always smacked of more than just thwarted love. It always reminded me of how my daughter's father and I continued our relationship after our daughter was relinquished beyond any reasonable reason or time. By anybody's lights, we should have stopped seeing each other. But we did not. I've written about this somewhat in my memoir, but didn't really indicate how long this went on. Years. Yes, years. 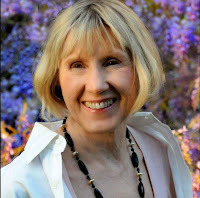 My marriage, his divorce, his remarriage, my divorce, distance--that changed the frequency and settings--but none of that ended our affair; it simply put it on hold. Though I wept buckets over the loss of our daughter to adoption, I understood his pressures to not be free to marry me and keep our daughter, because I was subject to my own. I simply could not be mad at him. Eventually I did stop seeing him because I knew I would never really be able to get on with my life. Our daughter had been the emotional glue--the same kind of connection over the years I sense between Camilla and Charles. Back to Dorante-Day. Although in England all adopted people are able to get their original birth certificates--how civilized!--and learn the name of their true parents, he says the name on his birth certificate is fictitious, as he can find no trace of such a person. Furthermore, he says that his grandmother--remember she and her husband worked for the royal family--told him that he was the child of Camilla and Charles. It all adds up; royal families are known to pass off their illegitimate children to families who worked for them, families they knew could trust to keep their secret. Dorante-Day, who lives in the province of Queensland, has been trying to get a DNA test of prove that he is or is not their offspring--he just wants to find the truth he says--but so far, the palace is a no go. He was hoping to meet Charles and Camilla both when they came to Australia in April. At first Camilla was not going to make the trip at all, but in the end she went. Her possibly not coming had already begun to make headlines in Australia, and Dorante-Day was popping up in the stories. Lawyers believed that the laws in Queensland--where Dorante-Day resides--could allow him to force the even the royal couple to take a DNA test--should they be in Queensland. However, Camilla unexpectedly left Australia on a commercial flight the day before the couple was to visit Queensland, and two days before the couple's 13th wedding anniversary, April 9. He flew home, as scheduled, the day after their anniversary. Why not just say you're tired and retreat to your hotel--she is 70--and have a cozy anniversary supper with your husband? The official story was that she was tired. (And thus immediately wanted to get on a plane for a 20-hour flight? Odd, if nothing else.) I'm betting on the fact that they were afraid Dorante-Day would confront them, and again, there would be more headlines and television coverage about his claim--and their refusal to take a DNA test. His resemblance to Charles is uncanny. Even one of his daughters resembles the younger Queen Mum. He is married to a doctor in public health, who is both of aboriginal and islander descent, and they have nine children. Royal followers know that Charles and Camilla continued their affair long after it was supposedly over. Charles was certainly a diffident fiance/husband/lover of Diana, and he and Camilla hooked up while he and Diana were married. Their, mmm, lovey-dovey phone calls were hacked by the British press--and published, without denials, just outrage. He let his friends know he married Diana because he needed a virgin bride, and she would do. Even an official biographer said that "without any apparent surge in feeling, he began to think seriously of her [Diana] as a potential bride." Camilla was long married off by then. But according to well-publicized accounts that Diana seems to have, er, leaked herself, on their honeymoon with Diana, he kept a photo of Camilla in his diary, which fell out one day; he wore the gold cufflinks with interlocking Cs that Camilla had given Charles on their honeymoon, which appears to be been a giant bust, a fact that the prince's secretaries we well aware of. At the time of his marriage to Diana, Charles gave Camilla a gold bracelet with the initials GF which stood for their code names for each other, Gladys and Fred. Sometimes the apple doesn't fall far from the tree. Stories about his father's (Prince Philip) dalliances are well known and were part of The Crown series. A man in Germany claims to be Charles' older sibling, sharing Prince Philip as a father; he was conceived when Prince Philip was in the Navy and stationed in Germany in 1945. Yes, they look alike. And in story I came across, the German man said that Prince Philip provided for him and his mother, and that everybody in the royal family knows about him. No, I am not getting up to watch the wedding. Oh yes, a man in Canada also professes to be the son of Prince Charles, also conceived before he married Diana. Birth control, remember, used to be an iffy proposition. One weird note: Dorante-Day was born the very same day as my daughter. Fire Horses both. FYI: Dorante-Day has a Facebook page. accepted her. An amazing story. I could so relate, as I have a granddaughter who is adopted. What would change their minds? Probably nothing. 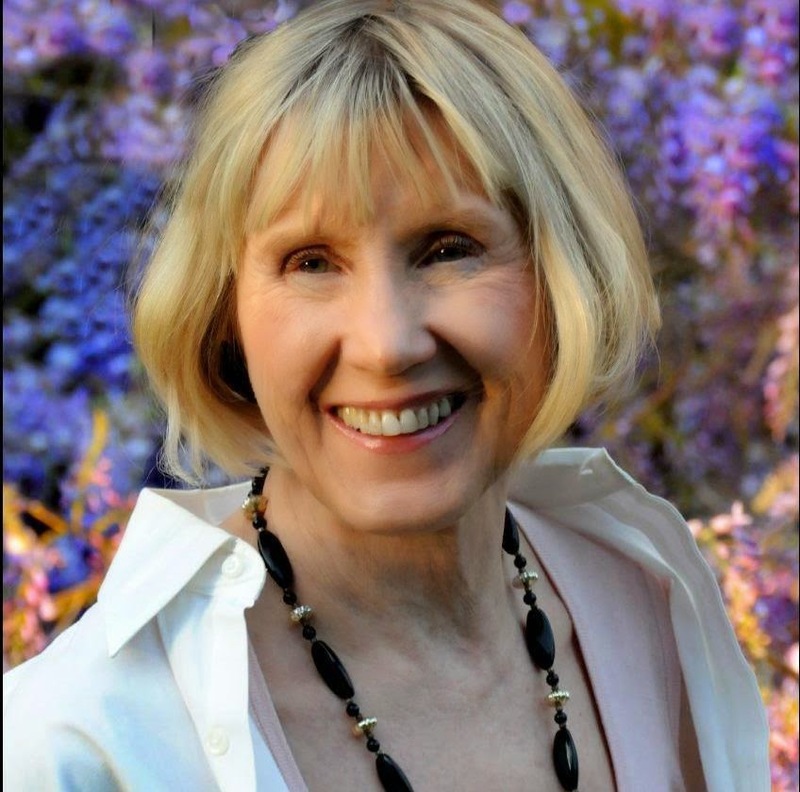 I knew a woman who always kept criticizing adoptees who searched and wondered why she cared. Just before she died she told her oldest son that he was not her first. The rest she took to the grave. If everything Lorriane says is right it sure looks like he is Camilla and Charles's son. No one should be allowed to deny a person their identity. If he isn't their kid, why not do the DNA quietly and be done with it? What is the matter with the women in the closet? How heartless are they? How can they do this to their own flesh and blood? Because if they give into one DNA test they have to give into them all. Lots of supposed "love children" will come out of the wood work. FG bracelet stood for Fred and Gladys, which they called each other. Right, I saw that last night on a special about them. But I read elsewhere about the "Girl Friday." I'm in the UK and I've never really heard the Harry/Dyer suggestion. People tend to think Harry's father of origin is James Hewitt. They may, but Hewitt didn't come on the scene until well after Harry was born. There are plenty of articles saying Hewitt is not the father, despite the rumors, and there are also plenty of pictures documenting the close relationship between Dyer and Harry, and he was around when the marriage of Charles and Diana was really on the rocks. Of course , it’s possible. But I don’t see anymore resemblances between his children and the Royal family. I don’t see any striking resemblance between Dorante-Day and Charles. 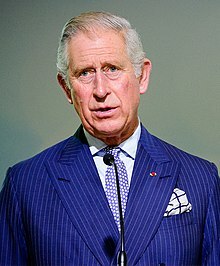 I see ever so many British, Germans, Western Europeans who look verymuch like Prince Charles, far more than Dorante-Day does. Same with Camilla’s family. The most likely DNA samples Dorant-Day can get are of. Camilla’s children. I suggest he work on thst. He’s not going to get close enough to Charles or any of the Royal family. Harry takes a lot after his mother's family. His uncle, Charles Spencer, 9th Earl Spencer, really does look a lot like him. It's not unheard of that one kid takes more after one parent's side of the family. Also, red hair is a recessive gene. Just because two people both have red hair and get along doesn't automatically mean they're related. The gene can pop up with anyone. As for Dorante-Day, it does sound plausible, but who knows. He needs a DNA test, and he should really go after the Parker-Bowles kids for that. Best not publicly - maybe hire a PI to steal DNA samples. But I do doubt that most claims of relation are true. There's plenty of people who will try to get their 15 minutes of fame by any means necessary. So I get a certain level of hesitation in consenting to DNA tests - they'd have to give them to anyone who claims to be related, and I doubt that they want the royal DNA out there where people can steal or sell results and maybe publish the royal family's health statusses. Has anyone ever suggested of the people claiming relation, and claiming it for a long time and/or with things to back it up (like, in the case of Philip, that he was in the geographical possibility to conceive a child with someone), to check their DNA against one another? That might really help their cases, if they are legitimate, if they turn out to be related. All the evidence is circumstantial, but so many other things point to his adoption by a family who worked for the royals, starting with his grandparents working in one of the residences and ending with Camilla and Charles's long and unending connection. One of Dorante-Day's daughters has features very much like Queen Elizabeth. Honestly, I do think that he deserves at the very least a DNA test. But I also understand why the royal family would hesitate to do anything of the sort publicly, whether or not they know that he's related to them. There were enough impostors of Anastasia back in the day when the rumours that she had survived were so strong. I don't think they have a right to hide it from him, or anyone, when they know it to be true. I hope he gets together with others who claim relation. If they turn out to be related to one another, it would be a much stronger case. It would not be difficult to get some Windsor DNA. But Western European DNA is quite common in configurations. Anyone working with bone marrow transplants and HLA matching can attest to that. Most white kids in that transplant list get good matches. The pool is prolific in our society and among those with the $ to pay for this sort of thing. Circumstancislly, there are many who work with the royals who could have had children. I hope this Dorante Day finds something more useful to pursue. As should all adoptees whose natural parents have closed the book on them should do. Life is to short to try to party crash where you are not wanted. The acute hurt from such rejections make the chronic ache of yearning unbearable. When reunions work out, it’s beautiful, but the bad ones csusfvtrendnfous damage. My son says that finding me, his mother, has completely changed his life for the better. He says that when he is among us, his family, the family he was born into, he feels like he belongs for the first time in his life. For our part, as his family of origin, we have always emotionally and profoundly felt his absence. There has been a tangible and unique space where he should've been and we never got used to him not being there. Reunion saved him and us. Adoption nearly destroyed so many of us, but reunion restored our inner strength, as individuals and as a family. Is it not "useful" to pursue the obvious lead to the people you have been told are your biological parents? Rebecca Yourig, if you are someone whose genetic connection to a family has never been questioned, please do not be so cavalier in denouncing an adopted person who wishes to know, as your remark does. Dorante-Days birth certificate did not have a name on it that led to a person. She apparently does not exist. The other night I was looking at the wedding pictures of Meghan and Harry. Official portraits. There's one of the wedding party only--bride and groom, flower girls and boy attendants. For reasons unknown I decided to see who the kids were, and was reading the caption meticulously. In the back row, but sticking his hand out to reach Harry--he's the only one doing that--is a boy: Jasper Dyer, the 6-year-old "son of Harry's friend and mentor Mark Dyer and his American wife, Amanda." He's also in the more solemn photo of the wedding party with parents, off to the right of Prince Philip. Just saying. Doesn't prove anything.